Gun Carry ReviewsShort, honest, nontechnical reviews for the common man by the common man. So Ruger came to SHOT this year with a mixed bag in my opinion. As you may have already seen on the YouTube channel, my opinion may be a little controversial. 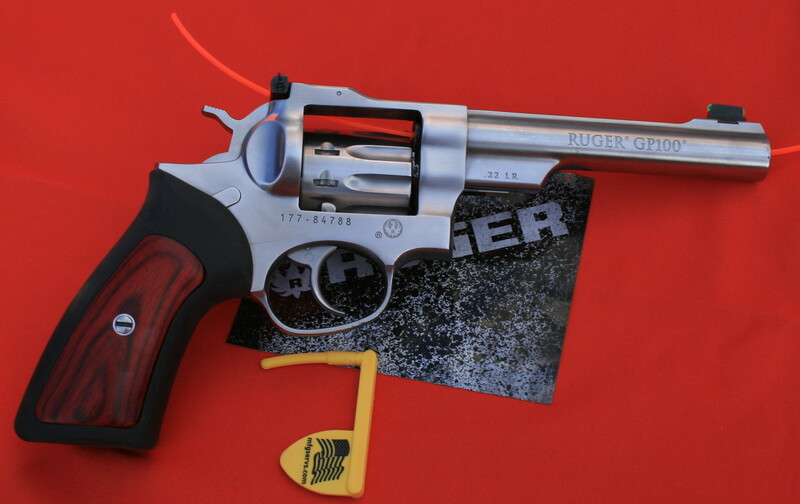 I am a big fan of Ruger and I am still very happy with some of this year’s offering, but if my opinion isn’t completely positive about each and every product so be it. I feel that you came to a review site to read opinion after all, and if it’s not 100% happy, you can chalk it up to honesty. So let’s just jump into the controversy. 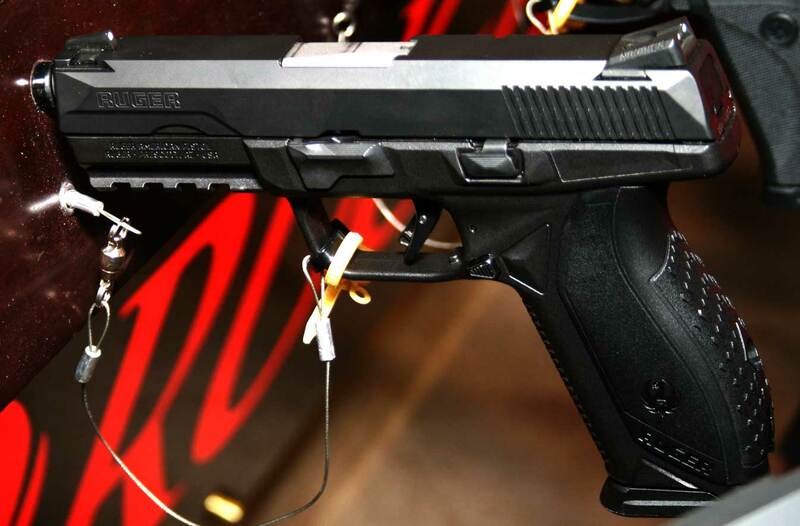 The Ruger American Pistol was revealed at the show and I am not a giant fan. Is the American Pistol a big story, of course it is. Ruger appears to be going after government contracts. That’s fine by me the company has always provided an overbuilt, supremely safe product. The problem for me is, it’s boring. As far as shooting this gun goes, I barely remember it. I shot it in 45 and 9mm at shotshow and there was nothing that impressed me. The gun’s styling is average. The trigger is fine but when compared to the Walther PPQ it’s not as good. The size seems a little bulky. It doesn’t fit my hand as well as the Ruger SR9 does… It just feels like an “also ran” situation. As in, not a winner not a loser, just one of many in the middle. Sorry, it doesn’t seem to be anything special. If you want to know what I remember for sure; 1) the reflex sight on the 45 was so bad in the midday Nevada sun I had NO aim point at all. 2) the last round in the 45 failed to eject. 3) Again Ruger set up a target board in such a way that you can’t possibly tell where you hit because of all the holes already in the target, so you have no way to judge accuracy. That’s it. The Ruger American Pistol has nothing that will set it apart enough to become a major contender in my opinion. I could be wrong. I may get more time with the gun and have a proper test that changes everything. But for now I don’t see this being a money making gun for Ruger. 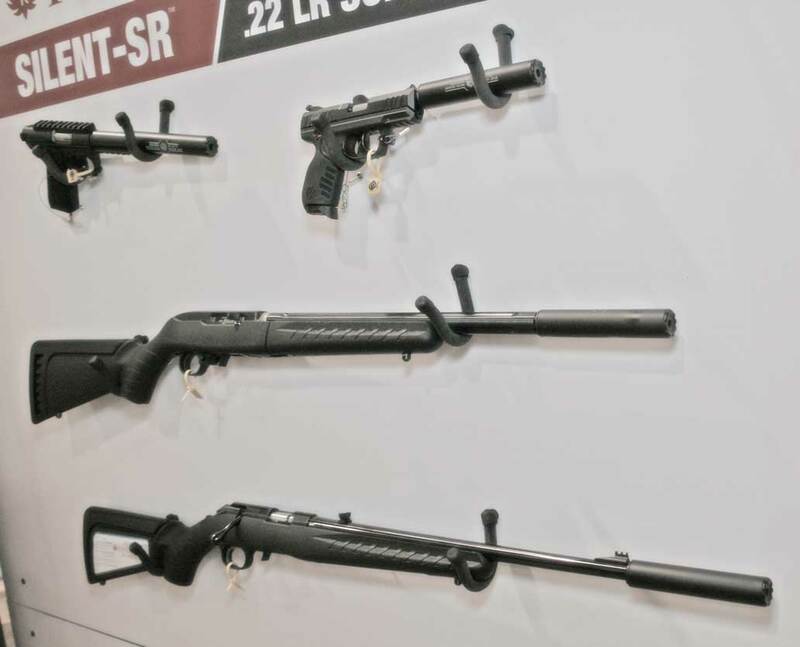 What else was new at Shotshow this year from Ruger? Well there was the GP100 in 22LR. After the long history of the Single Six, then the Single Ten and then the SP101 and the LCR all being available in 22LR I am not sure I see the point of the GP100 in 22LR. Don’t get me wrong, the GP100 is a great gun! I just don’t see enough market to support all of these options. It’s a bit like Ruger offering airsoft versions of every gun only it’s 22LR. So with that in mind I suppose it’s nice to train with it but wouldn’t you want your trainer to have the same round count? It’s another confusing decision for me. The hit for me from Ruger is in the new suppressor. I shot it on a 22 target 22/45 light. You know, the super accurate but way too light guns they make for backpacking? You do know back in the day you bought barrel weights to make your target gun heavier, right? The reason, your hand shakes. We all have a natural quake that we have to overcome when shooting. The heavier the gun the more likely we are to be steady when we squeeze the trigger. That being said, the suppressor made that gun feel just right in my hand. Then I pulled the trigger. WOW, it’s quiet. It’s almost like the action of the gun is as loud as the report. Ruger has done a great job making a very quiet suppressor. Why is it so exciting to me? Well, I don’t plan on getting a tax stamp anytime soon, but there is a movement to remove that requirement. If the tax stamp goes away, then Ruger being in the business of suppressors will cause significant competition in pricing and we may actually be able to afford them one day. So it’s a nice step in the right direction. Gun Carry Reviews LLC is a participant in the Amazon Services LLC Associates Program, an affiliate advertising program designed to provide a means for sites to earn advertising fees by advertising and linking to amazon.com.